Alright, let's open up the floor. Fire away! Im going to miss the beard! Great question. They would have to be a Green Pumpkin Plastic (shaky worm), a Black and Blue Jig (1/2 with double tail grub trailer), and a shad color DT crankbait (DT 6 or 10)! Are you a devils or a flyers fan? I gotta know! I plan on tailgating the event on the delaware all day. gotta represent philly!! Ha ha. Truth be told. I grew up in a NJ town called Runnemede directly across from Philly. That make me a FLYERS fan!!!!!!!!!!!!!!!! What steps are you taking to prep for next week's tourney? My tackle is pretty mush all prepared. But Im doing a lot of research at home. Specifically looking at weather patterns, lake levels and temps, and lots of map study on Fishidy! Mike, I fish the three rivers in Pittsburgh every weekend in club level tournaments. Thinking back to when you fished the tournament here.. What did you use the most to catch fish and what kind of advise can you give a river rat like myself? Thanks! Hey Sir! We loved having all y'all in Guntersville a couple of weeks ago! Thanks again! My top baits were small cranks, spinnerbaits, and of course soft plastics. I'm always very aware of what the fish are feeding on. In river situations current is also always a big factor. I'm almost always looking for areas that have some form of current break! Ike, always heard lots about the sun warming up the northwest corner of a lake faster, especially this time of year. Any truth to that you have experienced? If so would you try thise arears first if first getting out on a lake to pre fish? YES lots of truth to that theory! I'm always try to stay very aware of water temps in the early spring and pre spawn period. Seems like the protected pockets, coves, flats and creeks in the upper end or northwest corners or pockets always heat up first! What do you consider your biggest strength in fishing and your biggest weakness? My biggest strength is my versatility. My biggest weakness is super deep water (deeper than 40 feet). Mike what was different about this years classic was it just from all the cold weather that had been there in the previous weeks? I was figuring on people smashing them on a jerkbait but just didn't seem to happen. I believe the super cold winter and water temps, mixed with the lack of grass and dirty water created more adverse conditions. That being said, guys still figured out ways to SMASH them! Ike, thanks for being such a good roll model! You are doing so much for this sport! 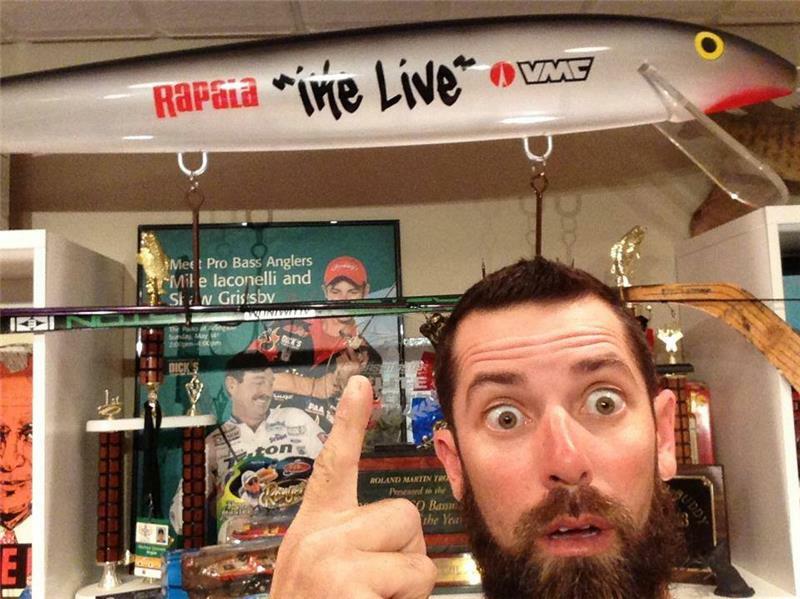 I really enjoy your Ike Live Show I have Learned so much. My buddy and I just got our Mike Iaconelli hats in today! I am also a member of the Ball State Fishing Team! NEVER GIVE UP!!!!! Ike have you ever fished Clear Lake in Ca? If so what lures would you recommend for pre-spawn bass? Ha ha. Why do my eyes always look like that? Ahhh. We have them around here too! Seems like my best baits in that super clear water are always either small more natural color finesse plastics (drop shot and whacky jig head) or burning some kind of reaction bait (topwater/spinnerbait). Mike, just learning how to use my side imaging unit. What have you found to be the best way to find and catch fish with electronics? Good question. I always tell people to stare at your graph and look for only one thing: CHANGE! Bass relate to change. Look for a rise or drop in the bottom and of course look for cover on the bottom. Dont be as worried about seeing fish! What's your #1 search bait for pre-spawn fishing? I'd have to say a moderate to tight wobble crankbait. 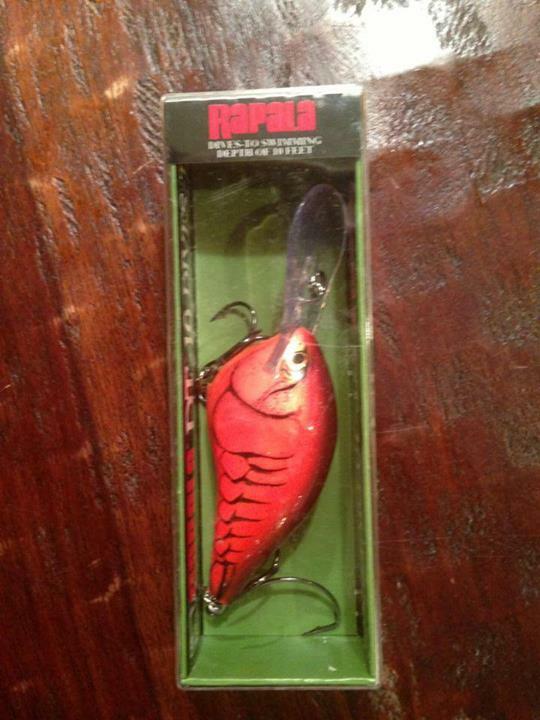 Something like a Rapala DT 6 or 10. Choice number 2 and 3 would be a vibration jig (Molix Lover) and a lipless rattle bait (Rip and Rap). Ike whats best way to figure out a new body of water to catch the bigger fish. I study online the maps and prefish from day light tell dark. I find fish but not like the pros like your self do. You all always get big bags everywhere you all go. The biggest bass in a lake seem like they always live deeper (in deeper water) or thicker (in the thickest cover) in a lake. When you find an area of fish, try moving out a bit or fish deeper in to the cover. Also, the big bait big bass theory is TRUE! What tournament are you most looking forward to on this years schedule, also do you think the elites will ever come to Lake Minnetonka in Minnesota? Thats easy. The BASS Elite on the Delaware River. It is my home fishery and I've been fishing it since I was a little kid! Cant wait!!!!!!!!!!!!!!!!!! I LOVE the slower to moderate retrieve speeds. I use either the 6.4:1 Revo Premier or the 5.1:1 Revo Winch! I find it very hard to put down the lures I know and love even when they are not working, how long is to long before "switching it up" and throwing something else? Try the hour rule. If its not working in an hour change something. Change bait style or color. If in another hour it is still not working, try going in a little shallower or out a little deeper! When are the new rods coming out! !